These studies on self-identification hinge on the idea that self-identification is derived in part from people's interpretations of external perceptions and social context, e.g., because multiracial people with black heritage think they are viewed as black rather than multiracial, they identify as black. I seek to take a different approach and examine how racial self-identification influences perception, not of race, but of attractiveness, which has also been shown to be an agent of stratification. People viewed as more attractive are afforded a variety of privileges including being viewed as more competent (Parks and Kennedy�2007; Ritts et al.�1992), having higher incomes (Frieze et al.�1991), and having increased chances of being hired (Hosoda et al.�2003; for an in-depth review of this literature see Frevert and Walker�2014). While studies have examined the intraracial effects of skin tone on attractiveness (e.g., Hill�2002), few have explored how other processes� such as multiraciality affect perceptions of attractiveness. Robert�L.�Reece, "What are You Mixed with: the Effect of Multiracial Identification on Perceived Attractiveness," The Review of Black Political Economy, June 2016, Volume 43, Issue�2, 141. http://dx.doi.org/10.1007/s12114-015-9218-1. This book examines popular representations of biracial women of black and white descent in the United States, focusing on novels, television, music, and film. Although the emphasis is on the 1990s, the historical arc of the study begins in the 1930s. Caroline A. Streeter explores the encounter between what she sees as two dominant narratives that frame the perception of mixed race in America. The first is based on the long-standing historical experience of white supremacy and black subjugation. The second is more recent and involves the post–Civil Rights expansion of interracial marriage and mixed race identities. Streeter analyzes the collision of these two narratives, the cultural anxieties they have triggered, and the role of black/white women in the simultaneous creation and undoing of racial categories—a charged, ambiguous cycle in American culture. Streeter’s subjects include concert pianist Philippa Schuyler, Dorothy West’s novel The Wedding (in print and on screen), Danzy Senna’s novels Caucasia and Symptomatic, and celebrity performing artists Mariah Carey, Alicia Keys, and Halle Berry. She opens with a chapter that examines the layered media response to Essie Mae Washington-Williams, Senator Strom Thurmond’s biracial daughter. Throughout the book, Streeter engages the work of feminist critics and others who have written on interracial sexuality and marriage, biracial identity, the multiracial movement, and mixed race in cultural studies. In her first novel in forty-seven years, Dorothy West, the last surviving member of the Harlem Renaissance, offers an intimate glimpse into African American middle class. 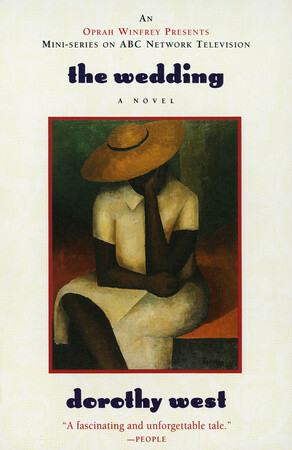 Set on bucolic Martha’s Vineyard in the 1950s, The Wedding tells the story of life in the Oval, a proud, insular community made up of the best and brightest of the East Coast’s black bourgeoisie. Within this inner circle of “blue-vein society,” we witness the prominent Coles family gather for the wedding of the loveliest daughter, Shelby, who could have chosen from “a whole area of eligible men of the right colors and the right professions.” Instead, she has fallen in love with and is about to be married to Meade Wyler, a white jazz musician from New York. A shock wave breaks over the Oval as its longtime members grapple with the changing face of its community. With elegant, luminous prose, Dorothy West crowns her literary career by illustrating one family’s struggle to break the shackles of race and class.